Monday Madness – Grasshoppers and bicycles? 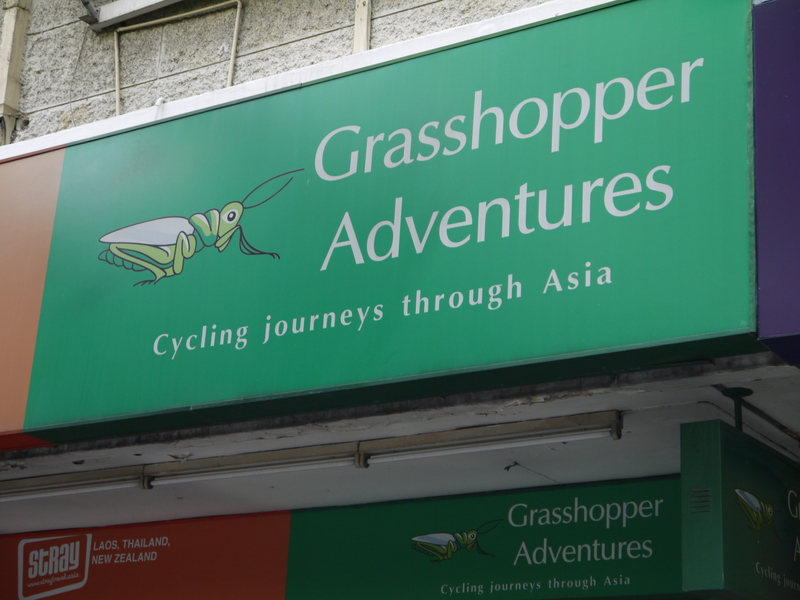 We were wandering in the Banglamphu area of Bangkok recently and found this sign advertising a bicycle tour agency. I’m struggling to figure out how a grasshopper rides a bicycle? Their legs just don’t go the right way for it.